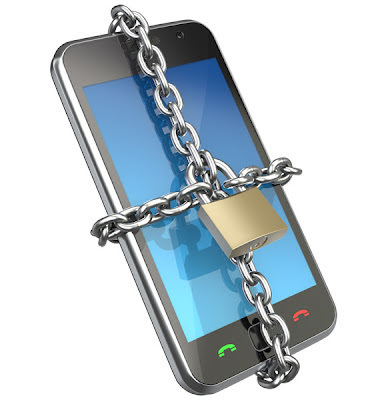 ACF Consulting Blog: What Will an Unprotected Smartphone Cost You? What Will an Unprotected Smartphone Cost You? You know that feeling when you have lost or misplaced your wallet or purse? Your heart sinks into the pit of your stomach. What if you lost your Smartphone? Would you have that same feeling? You should and probably will when you consider all that it contains. Think of all those photos, videos, emails, personal contacts, client contacts, business emails, and online apps. Do you bank, Tweet, and Facebook from your phone? Though your heart will still sink into the pit of your stomach, the first level of data protection will be in place. Set the Data Erase function. Find the option to erase data after a set number of failed attempts. Put your contact information on the lock screen. What if your phone is lost and some one finds it and would like to return it? Some phones allow you to leave a message on the lock page. If your phone does not offer this feature, take a picture of your contact info and set it as your lock screen image. Your phone might just make its way back to you. If you can, encrypt the device’s memory and data stored on removable cards to prevent someone from extracting the data. Consider installing a remote wipe software program to allow you to remove data once you are positive that your phone is gone. When you find your phone after you have wiped the data or if you have to replace your phone, you will be able to get back to where you were fairly quickly without loss of important information. Keep a list of passwords. This is an easy step to do while you have your phone. Make a list of all the passwords that you use for online services such as email, social media apps, and iTunes that are on your phone. Store the list in a safe place. If you need to remember what is on your phone, you can just pull out your list. This will enable you to change these passwords to prevent your phone from accessing your accounts. Download a “find lost phone” application. There are many out there. A few examples for Droid and iPhone platforms are: Find My iPhone, GadgetTrack, McAfee WaveSecure, Lookout Mobile, and iHound. Use these applications with a friend and the two of you can help each other find each other’s lost phone.